Your Music. Everywhere. – Seamless access to one’s music is rapidly becoming a ‘given’ when it comes to offering music services. Irrespective of the device one is using – smartphone, tablet, PC or ebook reader – users expect to be able to access music wherever, whenever. No surprise then that this is the main underlying promise of the Cloud Player: your music is available on a range of devices (e.g. Android, iPod, iPhone, Sonos, etc.) and the experience will be consistent across all of these devices and platforms. Import your music collection – Like iTunes Match and Google Play, Amazon’s Cloud Player will enable users to upload their own music collections, with Amazon matching the music on your PC to their 20m track catalogue. This means that music purchased from Amazon or iTunes or from ripped CDs will be matched against Amazon’s catalogue, upgraded (to a better audio quality where possible) and made available through the Cloud Player. Secure and easy to use – Amazon promises that for all the MP3 songs and albums users purchase or have purchased in the past will be automatically saved to Cloud Player, which means you’ll have a secure backup copy of the music you buy at Amazon. The ‘secure’ and ‘instant’ aspect are key to any service of this kind. I haven’t used the Cloud Player yet but this would be main challenges to any product or service which promises a great user experience. Is is easy to use? Does is ‘just work’? I haven’t yet tried the Cloud Player, but reading user and expert reviews gives an interesting insight into this new service. The main thing that struck me is that users are restricted from buying songs through the Cloud Player app on Apple devices (think iPhone, iPad and Mac). This means that one can use the Cloud Player for listening and streaming on an Apple device but not for buying music. I know I’m biased (since I work for 7digital, a competitor of iTunes and Amazon Music) but this defeats the purpose of using a service that promises to work ‘everywhere’. Main learning point: I guess the main caveat to this blog post is that, as I say, I work for a (smaller) competitor of Amazon in 7digital. At 7digital, we always try to concentrate on a consistent user experience that ‘just works’ irrespective of the device or operating system one uses. 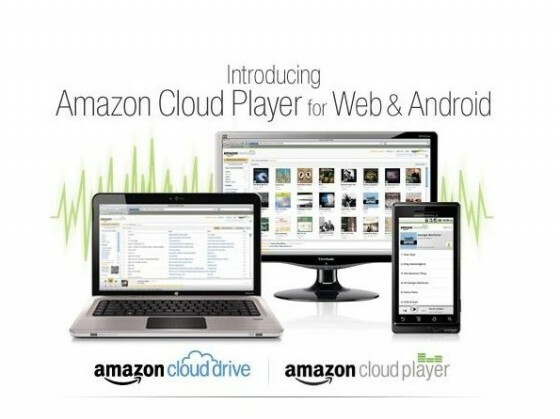 Services like Amazon Cloud Player are good solutions for anyone who wishes to ‘consolidate’ his/her music collection. I guess the main downside of using the likes of Amazon and iTunes is that they are pretty ‘vertical’ which means that their products only work totally seamlessly and as intended on their own devices and operating systems, which has bearing on the overall user experience.